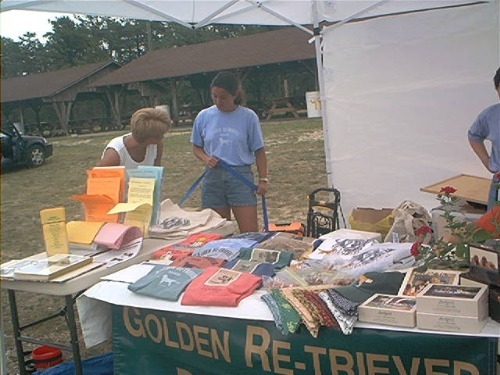 In addition to our fabulous Reunion, GRRI was busy with lots of other fun events this summer, where we got to meet with the public and talk about Goldens and rescue. 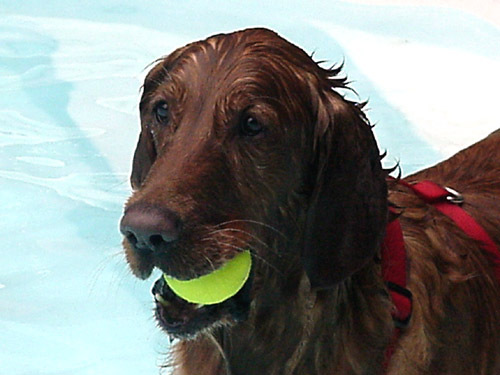 Our Goldens joined in the fun too. 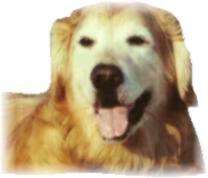 We bring them as our ambassadors, but don't tell THEM that ... they think its just so they can get extra treats and scritches ... and they DO! 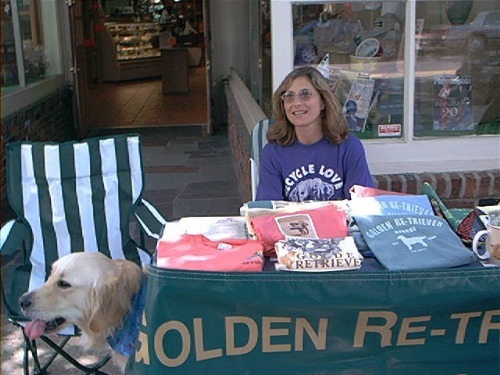 GRRI set up a table outside the Three Dog Bakery in Haddonfield -- you can imagine how much the Goldens loved that location! 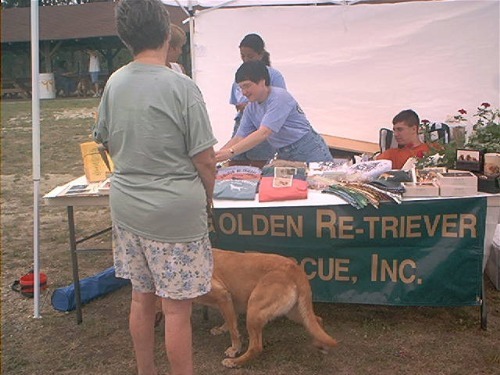 GRRI also participated in the Jersey Shore Animal Shelter FunDay, which as the name implies, WAS really fun ... despite some less than wonderful weather. 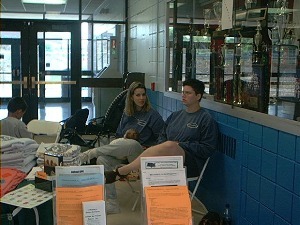 You can see all the educational literature and merchandize we bring along to these events. What you CAN'T see is what our volunteers do to try and protect them when the wind picks up or it rains, like it did that day! Now those would have been funny pictures! 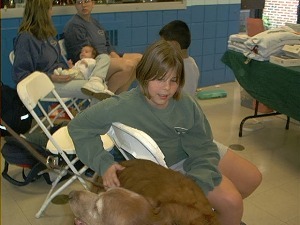 Fortunately, the Twin Brook Kennel Club Show was indoors, so weather wasn't a factor, unless you consider the air conditioning ... note the long sleeves in JULY! 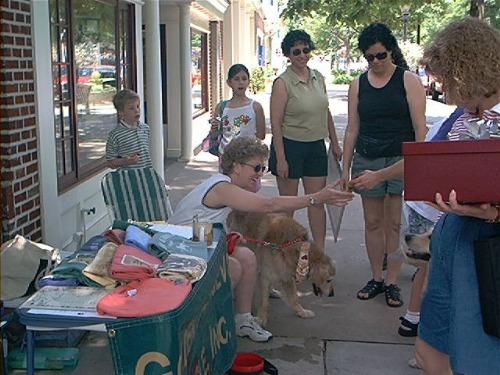 But our intrepid volunteers were undeterred -- even our youngest members joined in to help -- and once properly dressed, everyone enjoyed a very fine day. The Morris County 4-H Fair is always one of GRRI favorite events. The crowds are great ... and so is the funnel cake!